Looking for the Best Dog Walking Service in San Francisco? 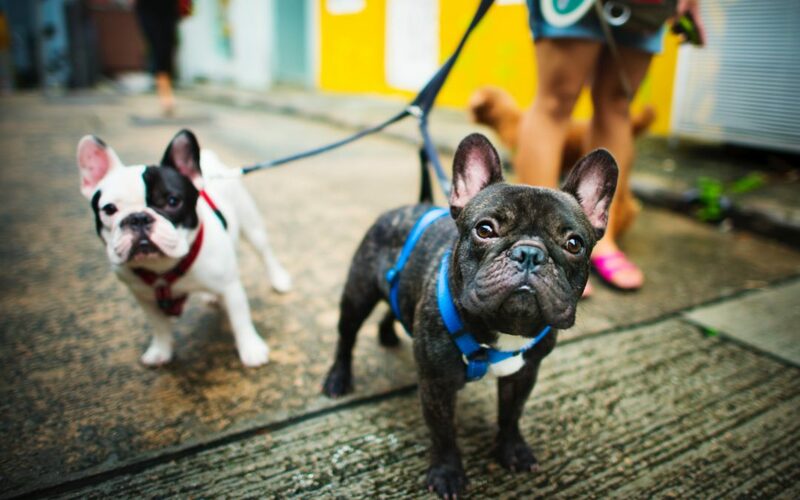 Does Your Dog Deserve the Best Dog Walker in San Francisco? Canine Cuties is opening in San Francisco! The 4-year-old business that started in Reno, Nevada is expanding to the amazing city of San Francisco, starting in the owner’s own neighborhood of Pacific Heights. Canine Cuties is a licensed, bonded, and insured business that provides in-home pet care and small group dog walks. Canine Cuties has a lot of experience in providing a premium and customized service for both its four-legged dog clients and two-legged dog parent clients alike. Small Groups – Canine Cuties dog walking service in San Francisco provides their dog clients with small and personalized group walks. The norm of other San Francisco dog walking companies places their dog clients in a group of 7 or more big and small, hyper and passive personalities. Personality – We pair our group with similar personalities, so your dog may have the best time during their walk. For example, if your older calmer dog prefers a calm yet brisk walk without the constant playing of a puppy we place them with other like dogs. Now vice versa if you have a new puppy wanting to get all of that energy out through playtime, we make sure they are placed with the perfect playful energetic group! Size – When it comes to dog group walks, specially in a congested area like San Francisco, size really does matter. Dog size – Some small dogs get along great with huge dogs and some huge dogs get along great with tiny dogs. But the norm as we have seen at Canine Cuties is that a tiny Yorkie pup feels a bit uncomfortable next to a massive Great Dane. Due to this we make sure to pair dogs with the size they feel most comfortable with. Group size – we place a lot of value when it comes to providing our dogs a lot of personal attention, in the end we always fall back on our customized care guarantee! We make sure our licensed and trained dog walkers have no more than 4 dogs at a time. This helps the dog walker provide very specific attention to each four-legged friend.